Definition; Jumpsuit - a garment incorporating trousers and a sleeved top in one piece, worn as a fashion item, protective garment, or uniform. The 70s and 80s saw jumpsuits feature in a big way, all spangles, disco, shoulder pads and drama. They are having a revival but in a more subtle, understated way. 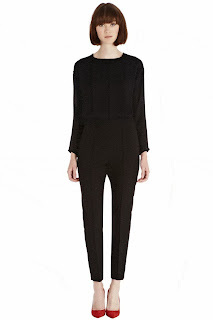 Jumpsuits are the ideal alternative to the little black dress and require minimal styling to create a stunning look. Gorgeous gold belt (Oasis has similar) and gold cuff (Zara has these) on a casual jumpsuit. The jumpsuit is brought to life with fabulous red shoes and a pop of turquoise and gold. Gorgeous patterned jumpsuit, toned down with black accessories..fabulous. This is a 'wow' outfit only for the brave! Olivia Palermo styles her jumpsuit with a leather baseball jacket, gold skinny belt and black ankle boots..stunning. Simple perfection, accessorised with gold jewellery. I adore this laidback look, looks great with heels. Another fabulous boilersuit look, prettied up with sandals. Kate Moss rocking the boiler suit, add a vest top and suede ankle boots for a cool look. The key is to try on loads of jumpsuits/boilersuits, they are all different body lengths so it is important to get one that fits you. Don't give up, when you get it right they really look stunning and are possibly the easiest thing to throw on! 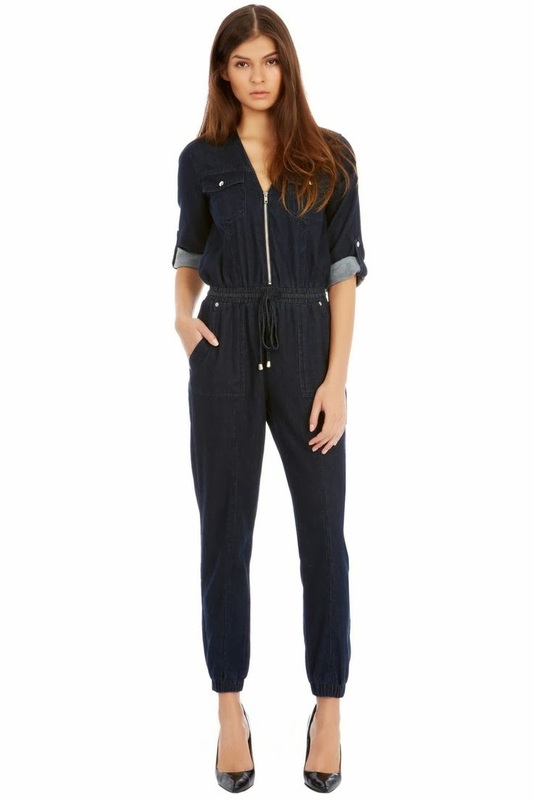 The subtle blue colour of this jumpsuit is a fabulous alternative to black and will see you through to the summer. Pair with gold or leopard accessories for stunning Christmas Party look. I am a big fan of the brand Ganni, this jumpsuit is in a stunning print, could be worn day and night and has been perfectly styled above, or wear with black ankle boots and parka for a casual day look. 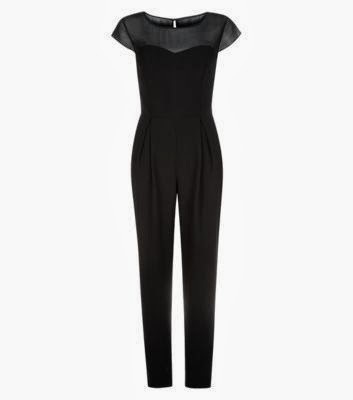 This is a stunning jumpsuit the back detail calls for minimal accessorising. When wearing wide leg jumpsuit remember to ensure the trouser just skims the floor to make it super flattering...see the red jumpsuit on the streetstyler above for correct length. This is a super flattering jumpsuit, the tailored waist and draped front ensures you are cinched in at the waist but skims over all bumps and lumps. 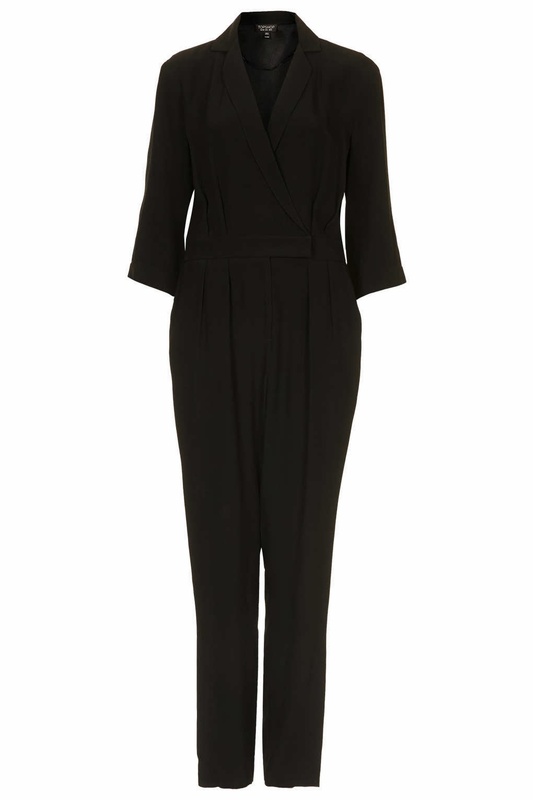 Team this with black shoeboots/ankle boots or clash with leopard print heels and black clutch. This is a fabulous jumpsuit with a beautiful cutwork detail at the back, again keep accessories minimal the jumpsuit does all the work for you. Wear with animal print courts or beige ankle boots. An effortlessly cool jumpsuit, wear with fine gold necklaces and a gold cuff bracelet and some fabulous leopard print heels. A super cool boiler suit, wear at the weekend with a pair of trainers and for a night out with a pair of block colour heels or animal print. Pile up gold bangles and cuffs to dress up. 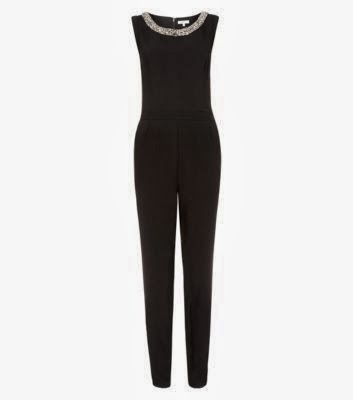 This is a dressy jumpsuit requiring minimal accessories. I have not yet tried this jumpsuit on but I love the look of it, probably not dressy enough for a Christmas party but fabulous for casual Christmas drinks..cosy weekend pub...or winter shopping. I love the detail on the neckline it makes this jumpsuit look extra special. I have bought a couple of jumpsuits from Anthropologie and they fit like a dream, the fabric is heavy so it drapes and is really flattering. For the brave, you will be noticed in this jumpsuit..it has had reviews on the website and I would team with leopard print heels and clutch. Have you already taken the leap to jumpsuits, are you ready to swap your LBD for the All in One? Would love the Phase Eight and the Warehouse. Thing is- What shoes to wear to keep warm on school run. Does it really work with boots? You have given me inspiration but don't know if I'm brave enough to take the jumpsuit plunge! Noo. Not brave enough yet. I have to do some exercise before I don one of those. I've seen my backside in one and it's not pretty. Something akin to a bag of sprouts springs to mind. I told you - not pretty. But if you can pull it off - then brilliant. Its a fabulous look.